Kevin Deane lives and breathes Rural Real Estate. He comes from an extensive background in the farming industry. As a child, his family reared poultry and owned sheep studs. After school, he attended Flock House farm training college in Bulls, Manawatu, moving into dairy farm management roles upon his graduation. 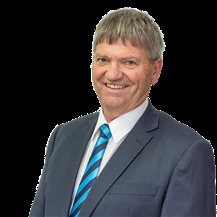 After obtaining his Real Estate Salesperson Certificate in 1995, Kevin joined Harcourts and obtained his AREINZ papers in 1997. 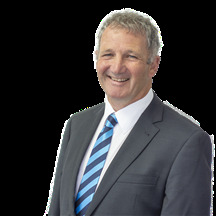 2002 marked the start of the Kevin Deane Real Estate Limited brand, when he and his wife Andrea bought their first Harcourts franchise in Morrinsville. The Cambridge franchise was added to the business in 2006, and Matamata in 2007. 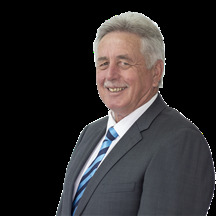 Today, Kevin Deane Real Estate is a well-known and respected brand, firmly establishing Harcourts in the three key farming communities of the sought after “golden triangle” in the Waikato. The company services Cambridge, Morrinsville, Matamata and the Greater Waikato area for residential, lifestyle, rural, commercial and rural economic properties. Kevin and Andrea run the business between them, and Kevin is also a highly-experienced specialist in rural farm sales, and the company’s auctioneer. Kevin Deane Real Estate is heavily involved in the local communities it is part of. It sponsors groups and clubs throughout the region, including the Chiefs rugby club, with Kevin frequently engaged as an auctioneer or a speaker at community events. Both Andrea and Kevin are supportive of local events, and Kevin is an active Rotarian. Over 20 years on from where it all started, Kevin still genuinely loves what he is doing and sits comfortably in his niche selling lifestyle properties and farms. 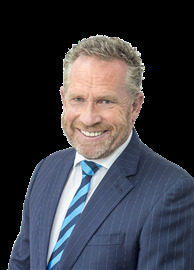 His gregarious personality and infectious sense of humour reflect his continued interest and passion for the business he and Andrea have created, and their long term relationship with Harcourts. 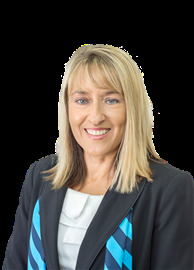 Donna Oakes joined the Harcourts Administration Team in 2007 and three years later she found she had a passion for the real estate industry. Having completed her real estate papers and becoming a Licensed Real Estate Consultant, Donna felt she had gained a great deal of knowledge and experience from her fellow team members and was ready to start selling real estate. 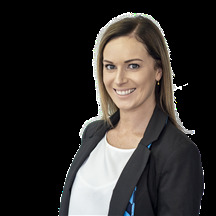 In 2012 Donna joined the Harcourts Residential Sales Team. Donna is honest, reliable, a great communicator and will go the extra mile for her clients. She loves the personal contact and thrives on getting great results. Donna and her husband Garry have lived in the Morrinsville area since 1999 and are active participants in the community. Donna and Garry have three children who keep them busy with their sport, hobbies and other activities. Donna enjoys running and has completed half marathons and enjoys playing touch rugby. 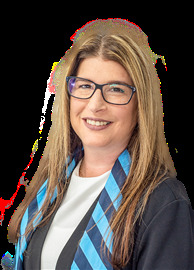 Today Donna is part of a dedicated, experienced, professional team at Harcourts Morrinsville where clients needs come first. So talk to Donna Oakes about helping you achieve your goals and make your real estate dreams come true today. Kevin Parry has spent most of his life farming in the Waikato. A strong rural man at heart, those who know Kevin appreciate that his organization skills, professionalism and love of the land are definite keys to his success. Kevin is excited about joining an already strong rural team at KDRE Morrinsville. Coming from an extensive background within the Dairy Farming industry, Kevin’s vast hands on experience ranges from Farm ownership, through to Services Manager for a strong livestock breeding and consultancy company. 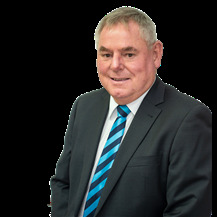 Enthusiasm, honesty and integrity combined with excellent local knowledge makes Kevin Parry the perfect choice for you to make your rural estate dreams come true. Susan is vastly experienced in the business of Real Estate. 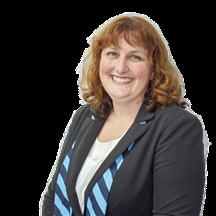 She has been in the industry since 1984, working in Morrinsville since 1991 and with Harcourt’s KDRE Morrinsville since 2012. 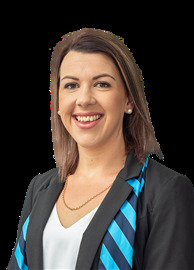 As an AREINZ she is thoroughly qualified in the relevant law and processes. If repeat business is a hallmark of success then Susan is very successful indeed. The strong friendship developed with satisfied clients is another positive string to her bow. She is a team player and her office regards her as a wonderful member of the company. Susan’s comments “The real estate industry has changed vastly with the huge use of technology since I first came into the business. What hasn’t changed is the personal service that clients expect and should always receive. A real estate agent has to be a people person, a negotiator, a marketer and a person who understands the excitement and sometimes the anxieties that people experience when buying or selling their property. When I first started in the business I was told the three most stressful experiences in a person’s life is marriage, divorce and buying and selling real estate!! Well I can’t help with the first two, but I can certainly help to make the real estate side as much fun and stress free as possible. This is for the Handyman! Ready to Build Right Now? What a Grand Property This is! Tick off all the boxes. Wow! Be quick for this one! Improve your outlook on life.